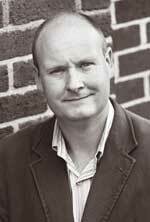 John Duignan (born 1963) grew up in both Stirling in Scotland and in Carrigaline County Cork. He had a difficult and troubled childhood thanks in part to a mentally ill father, an ill and abused mother and the chaotic home life that resulted. Following the untimely death of his parents in 1974, he and his siblings were fostered by family members on his mother’s side in both County Cork and Wicklow. He left school at the age of 17 and joined an American Christian Evangelical drama group and spent three years traveling Europe and North America forwarding this unique brand of Christian ministry. In 1983, he was operating a branch of this ministry in Vancouver Canada and came to see that much of the Christian message simply did not add up. He moved to Halifax Nova Scotia to live with a group of atheist humanists and to work on an old North German built schooner. About a year later, he found himself in Stuttgart, Germany and during a period of dark depression was recruited by The Church of Scientology. In 2008 he wrote and published The Complex: An Insider Exposes the Covert World of the Church of Scientology. In this non-fiction book he describes his 22 years in the organization and his eventual awaking partly as a result of attending an event where actor and Scientologist Tom Cruise was given the award of “Most Dedicated Follower”. Duignan began to examine the organization more closely and had doubts about remaining. He left the organization in 2006, after taking measures to avoid investigation by Scientology’s intelligence agency the Office of Special Affairs. The Church of Scientology responded to the publication of The Complex by sending legal letters to several bookstore retailers that were selling the book, claiming the book contains libelous statements about a member of the organization. His publisher Merlin Publishing, “emphatically denied” these allegations, and an editorial director at the publishing company called Scientology’s claim “vexatious”. The United Kingdom branch of Amazon.com, Amazon.co.uk, stopped selling copies of the book after receiving legal letters from the Church of Scientology through internationally feared libel firm, Carter Ruck; booksellers Waterstone’s and W H Smith and Borders Books were “warned off” selling the book as well. However the book remained in broad publication here in Ireland and has been stocked in all Irish retailers for a number of years. Following the publishing of The Complex, John returned to education completing a BA in Engl ish and Italian Literature and Italian language at University College Cork. John counts Christopher Hitchens, Bertrand Russell and A.S. Byatt among his most important intellectual influences. He no longer considers himself to be a religious person. This talk takes place at Blackrock Castle Observatory, Cork at 8:00pm on Friday 3rd August. Admission is free and all are welcome to attend! 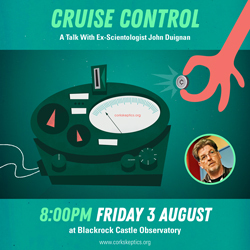 Categories: Books, Events, Psychology, Religion, Skepticism, Skeptics In The Castle, Woo | Tags: blackrock castle observatory, cork, ireland, john duignan, scepticism, science, scientology, SITP, skepticism, Skeptics In The Castle, skeptics in the pub, tom crusie | Permalink. 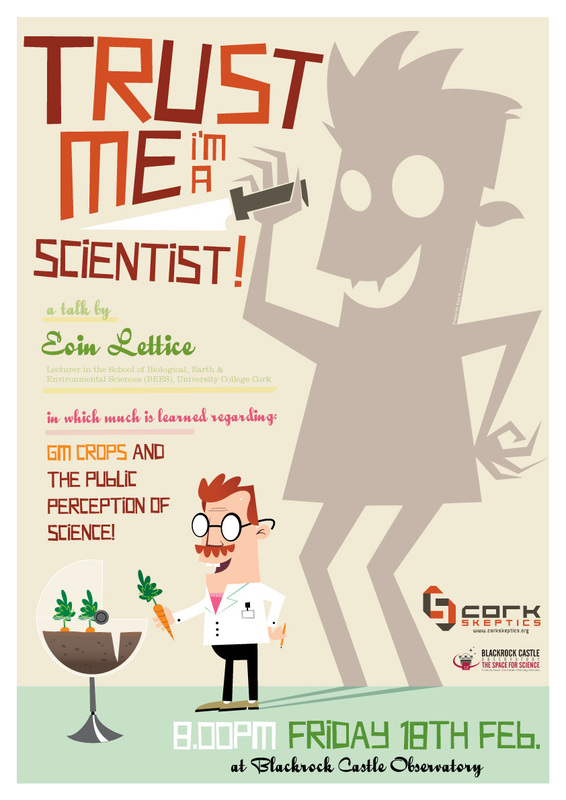 On Friday 18th February, we will host a talk by Eoin Lettice entitled Trust Me, I’m A Scientist: Gentically Modified (GM) Crops and the Public Perception of Science. With an increasing demand for high-yielding crop varieties, the genetic modification of plants is seen by many as part of the solution. However, with serious opposition in some quarters to GM technology, has there been a failure by scientists to communicate the benefits and risks of GM properly to the public? 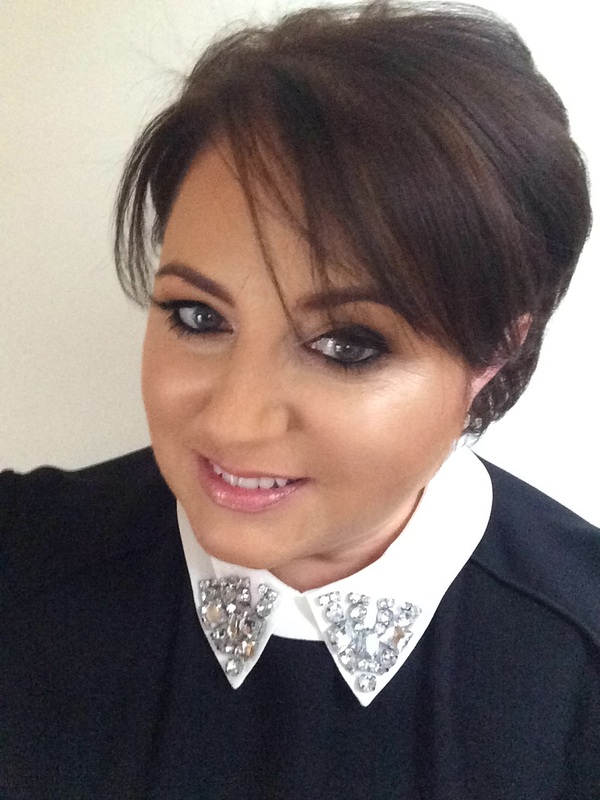 This talk will look at public perceptions of science and at how science is communicated. Particular focus will be on the area of genetically modified crops and how the public perceive them. About the speaker: Eoin Lettice is a lecturer in the School of Biological, Earth and Environmental Sciences (BEES), University College Cork. His research and teaching focus is on plant pathology and plant biotechnology. He also writes the Communicate Science blog, which was nominated for an Irish Blog Award, Irish Web Award and shortlisted for an Eircom Spider Award in 2010. 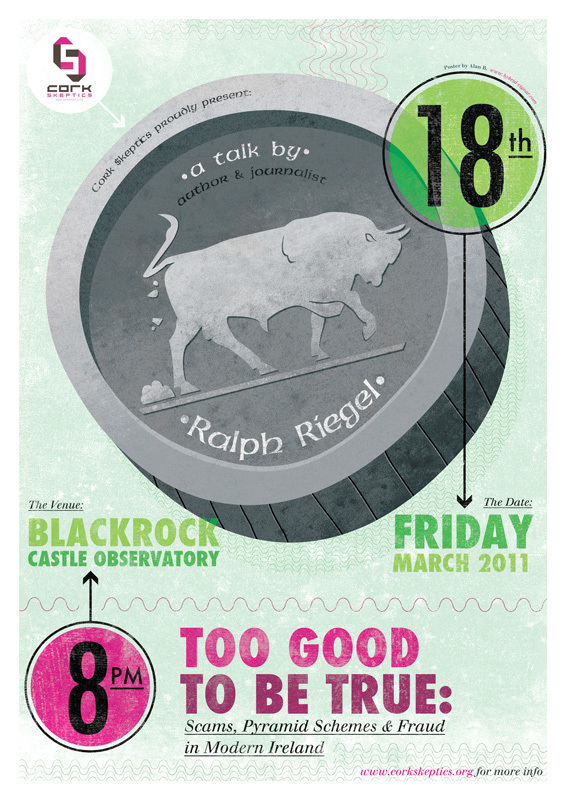 The talk will begin at 8pm on Friday February 18th, in Blackrock Castle Observatory, which is close to the Mahon Point Shopping Centre. Everyone is welcome and the talk is free to attend. 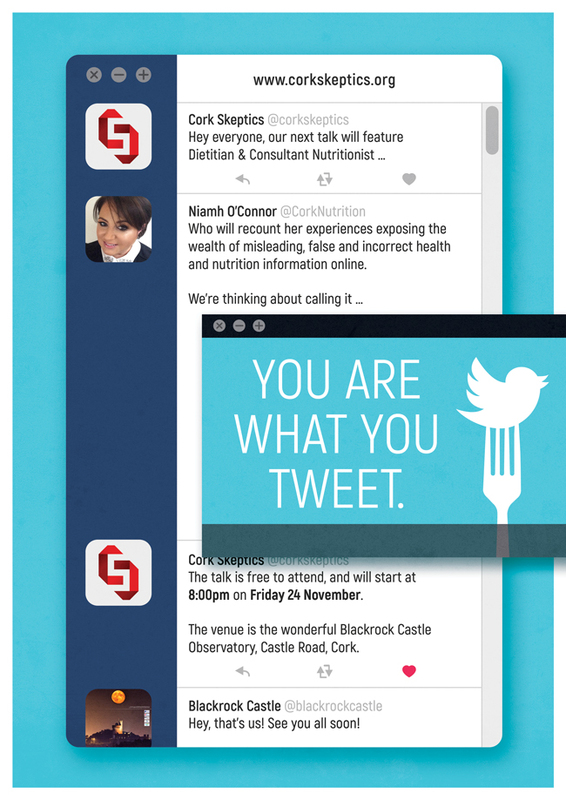 Categories: Events, Skeptics In The Castle | Tags: blight, cancer, Eoin Lettice, famine, fluorescent green monkeys, Genetically Modified Crops, GM, mistrust, politics, potato, public, science, SITP, skepticism, Skeptics In The Castle, UCC | Permalink.